Feeding a baby can be a challenge as they get older. That sense of independence kicks in and I know for my son, he wants to do it all himself. It gets to be a battle. 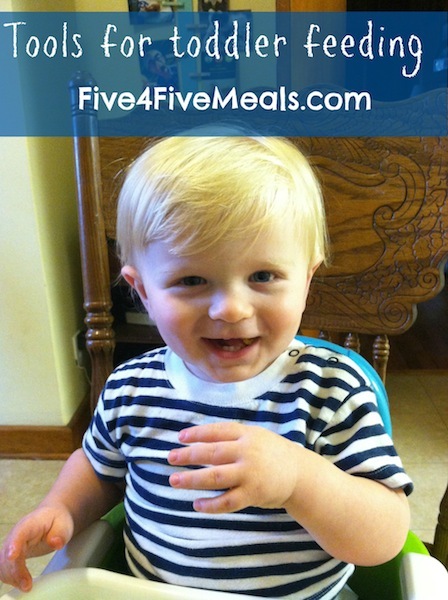 So I wanted to share with you a few things I've found to make toddler feeding a little easier. A sippy cup with a straw. These Toss and Go cups with straws have been a lifesaver. Clearly my sweet boy loves a straw. Here he is swiping my drink. So I got him his own cup and he drinks way more water out of it than a traditional sippy cup. 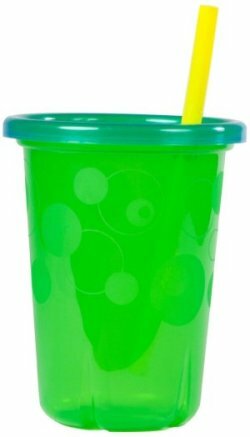 But when I need sweet boy to take a traditional sippy cup I really like these cups from USA Kids. They are made right her in Alabama. They are BPA free and they absolutely do not leak. But they are hard to find. These Munchkin spoons are great because the spoon part is deep enough to hold onto food that might get flung off otherwise. And you can see that sweet boy likes to wear his yogurt. But I LOVE this spoon and fork set from Green Toys. They are made out of recycled milk jugs and are the perfect size for little, chubby hands. Those baby food pouches are convenient. But they are expensive and leave a lot of waste to be tossed out and not reused. 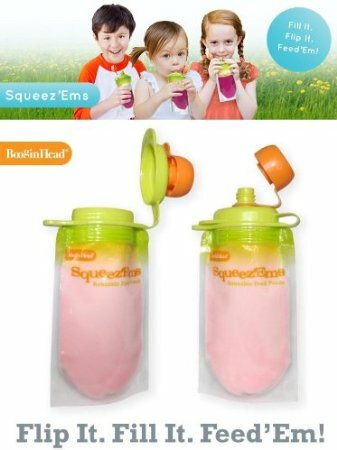 I love these SqeezEms pouches. I fill them with yogurt or homemade foods and my sweet boy loves them. Do you have a favorite feeding item? 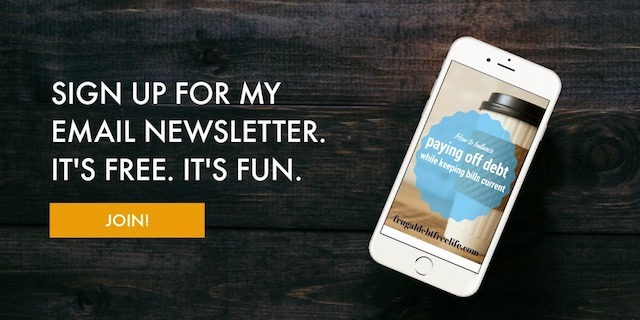 This post contains affiliate links, but these are not paid endorsements. Today I am hopping at the Baby Shower.